Following the release of their surprisingly-competitive S11 Pro' speed boots, Penalty are back with another boot to add to their new-look range; the Penalty Brasil 70 Pro. With a distinctly more heritage feel than the futuristic S11, the Penalty Brasil 70 Pro are a mix of classic boot sensibilities with modern boot design. 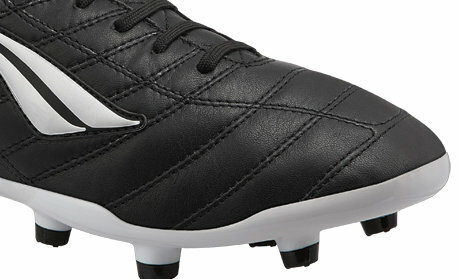 One of the headline features is the use of Penalty Sensor leather on the upper. Despite not being the Kangaroo leather as many of the top ‘classic’ boots boast, Penalty say that their signature leather is just as high-performing on the pitch. Treated with water during the tanning process, the leather stays softer during production than most other boots, resulting in a more supple feel. Couple this with the strategically-placed stitching on the instep and toes, and the whole boot creases naturally with the foot. 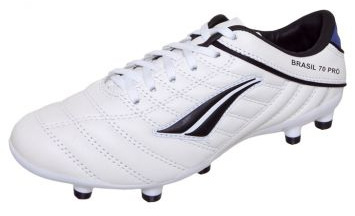 Sharp-eyed Footy-Boots.com regulars will also notice that the Penalty Brasil 70 Pro' uses the exact same soleplate as the 190g S11 pro. 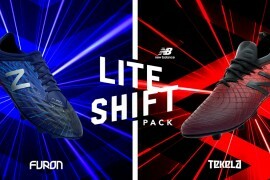 This Celeron nylon-blended plate is the lightest and most flexible Penalty have created, and has already won plaudits for it’s innovation and comfort – so it’s no surprise to see Penalty utilise it the same way adidas do the SprintFrame; by employing it across multiple boots in their range. 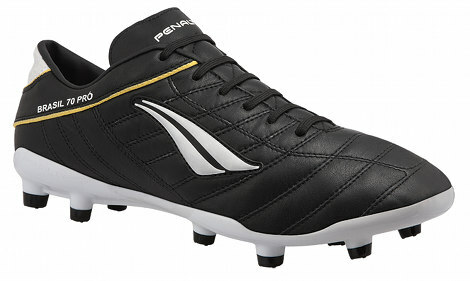 Available in Black / White / Yellow and White / Blue / Black at launch, the Penalty Brasil 70 Pro' isn’t a bad-looking boot by any stretch – and certainly has all the hallmarks of a classic boot. Set to cost £110 / $180 USD, we can’t help but feel that the Penalty Brasil 70 Pro' would have been better priced to compete with the likes of the Umbro Speciali III, Lotto Stadio Potenza and Puma King Finale in the sub-£100 category, especially as Penalty are only just starting to break into the European market. What do you guys think? A serious contender for fans craving a classic, leather boot – or would you wait for a price drop before you think about a pair? Next articleROBIN VAN PERSIE: KING OF BOOT SUPERSTITIONS? look quite great, i just hope the leather is soft enough?